While one Harvard alumnus has been making headlines around the world as the new star point guard of the New York Knicks (if you don’t know we’re referring to Jeremy Lin), another Harvard alumnus recently made the “New York Times Bestseller List.” Harvard alumnus Baratunde Thurston’s book “How To Be Black” recently shot up to #22 on the prestigious list. His book is literally flying off the shelves at bookstores with new copies in short supply. 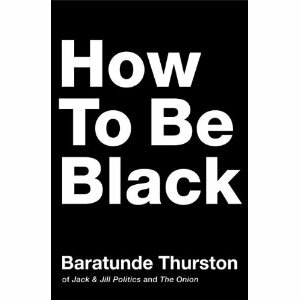 Baratunde Thurston, a Harvard alumnus, is now a "New York Times" bestselling author for his hilariously funny new book. The book chronicles Baratunde’s own life growing up in a rough neighborhood before attending Sidwell Friends School, the same school that Chelsea Clinton attended and the Obama daughters currently attend, followed by Harvard University. Hilariously funny, the book details from his POV what it was like for an African American young man to receive the finest education in the world among predominantly white students. It is a book that has readers laughing from page to page. And it’s a book that shines a lantern on the experience of African American students at one of the most prestigious — if not the most prestigious — university in the nation. Baratunde Thurston is an alumnus who Harvard should be proud of. He’s someone who has made a positive impact on the world as a standup comedian, as a writer for “The Onion,” and now as a “New York Times” bestselling novelist. He is outrageously funny and there are big things in his future. This Harvard alumnus sure did make good. And check out this post on another Harvard alum.